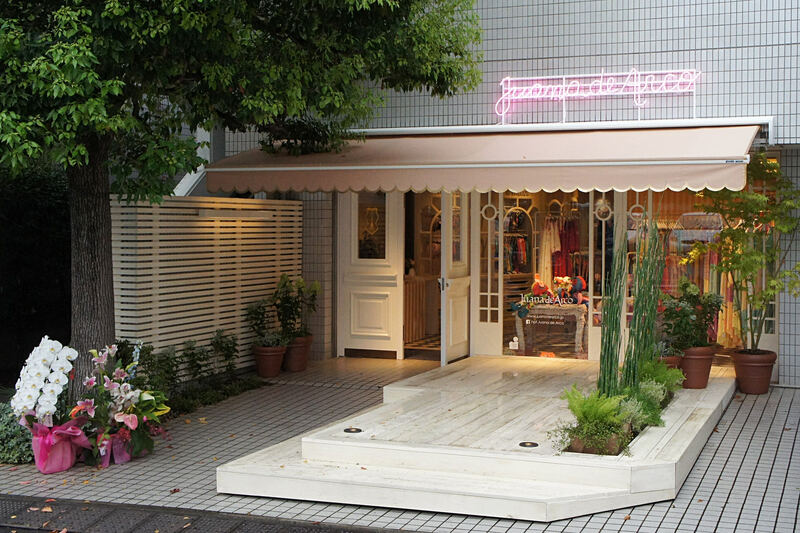 Juana de Arco, the lifestyle brand from Buenos Aires, has opened its relocated flagship store in Tokyo. The new location is on “Aosando,” an alley so nicknamed because it connects Omotesando and Aoyama-dori, two of Tokyo’s most fabled retail streets. With its wooden deck festooned with shrubs and flowers, the new store recalls the warmth of an Argentine country home. A permanent art space and other creative touches invite customers to savor the culture of Argentina. Expanded to serve growing demand, the retail floor is filled with charming and stylish lifestyle ideas ranging from candy-colored lingerie and yoga wear to interior goods. The adorable “Baby & Mama” goods in pastel colors make irresistible gifts. With a full calendar of events to refresh body and soul, such as yoga classes and brunches, Juana de Arco offers something to brighten the lifestyle of every woman.